As you may or may not know, award season is upon us! We've had the Golden Globes, next up is the Oscars....and following that? Why...The MAD awards of course!! Yes the fourth annual MAD (Mum and Dad Awards) are currently taking nominations in 16 different catergories including Best Baby Blog, Best Blog Writer, and Best Fashion & Beauty Blog. If you are like me and you have a selection of favourite blogs that you look forward to reading regularly, I know you will appreciate the chance to vote for them as much as I did! I have already cast my votes - it was very easy to do, and only took a few minutes! Of course, I would LOVE to be nominated and I feel that my blog would fit best into the Pregnancy Blog category. I'm sure every blogger out there would appreciate a nomination! Louise's blog was one of the very first ones I ever followed, and it is always my first stop every day! Her blog posts are always a perfect mix of text and pictures, so she always manages to keep you entertained. I really can't recommend her blog highly enough! I voted for Confessions Of A Secret Shopper in the Fashion & Beauty category. I only discovered Emma's blog fairly recently but it has quickly become a daily "Must Read" blog for me! I love the simplicity and prettiness of the blog layout, and Emma has such a natural talent for writing posts that draw me in straight away. Her posts focus on beauty and fashion throughout the week and every Monday she features "Mummy Monday" posts where she focuses on a parenting or pregnancy related topic (Like me, Emma is currently pregnant!) - this is the perfect blog blend for me as it combines my two biggest interests of the moment! I voted for Beauty By Emma in the Best Blog Writer category. Rachel has been a friend of mine for a good few years now, and so when she started her own blog recently I was very excited to see what she would do with it! Her blog is taking off very quickly, thanks to her informative and insightful writing style and her dedication to regularly posting. Rachel's blog focuses on beauty reviews, with an easy-to-follow rating system and detailed reviews posted pretty much every day! I know Rachel will be very successful as a blogger! 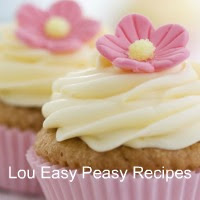 Confessions Of A Secret Shopper's Louise has recently started a second blog focusing on recipe posts. Louise seems to have a real talent for baking which absolutely puts me to shame! Her creations are enough to make your mouth water just from the photos, and her recipes tempt me every single time! Do you have any favourite blog recommendations for me?